Transportation is an essential part of all our lives. While some people have their own vehicles, others use a bus or train for their everyday ride. When it comes to vacation or business trips to another country or state, it is impossible to take your own vehicle. Traveling in bus or train prevents you from enjoying the trip or accomplishing your business duties. In that case, choosing a car rental could be the best option for you. If you are planning to visit Melbourne and like to spend more days in this city, you can go with long term car rentals that come with enormous benefits. One of the major benefits of choosing long term car rentals is that you are not tied to any contract terms. So, if your situations change, you can return the vehicle without any penalty. You can hire vehicles for any length of time based on your vehicle needs. When you hire a vehicle from a well-established company, you can rest assured that you will be supported and guided throughout the duration of your contract term. Whether you have a question about mileage or you got up in an emergency situation, long term car rentals in Melbourne can support and guide you consistently. When it comes to buying a new vehicle, your choices are limited based on your budget. However, this might not be the case when choosing a long term car hire in Melbourne. 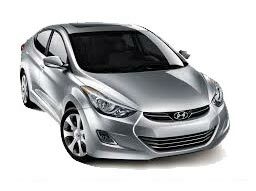 The car rental companies offer a wide range of vehicles to choose from. From dual control cars, to minibuses and prestige model cars, you will find a plenty of vehicles so you can hire the one that suits your individual preferences. AUZ Rental Cars, a leading provider of car rental in Melbourne, has been serving individuals and businesses with their exemplary services at reasonable prices. Whether you are going on a business or a leisure trip, you will be able to find vehicles that meet your budget and travel needs. From compact sedans to mini-bus, AUZ Rental Cars has vehicles to accommodate a small and a large group as well. For queries and bookings, call us at +61 392190874.